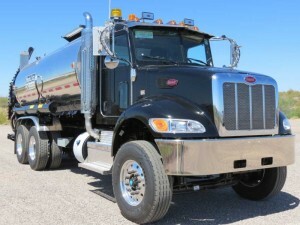 We have assembled the top of the line equipment for our customers to access without having to single source the equipment, we provide all of the equipment needed for the application process. Wheel loader RoadHogs offers high production at a substantially lower cost than a traditional dedicated milling machine in many applications. 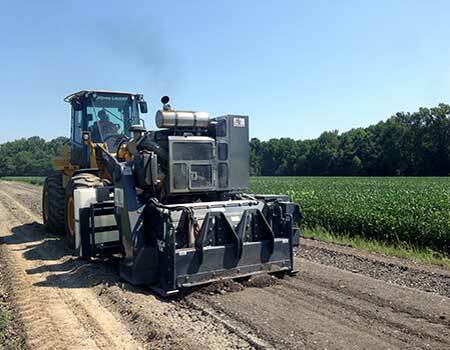 These machines are widely used around the US and abroad for small to medium sized milling projects, which include milling city streets prior to overlay and in-place recycling of parking lots and more. Learn more. 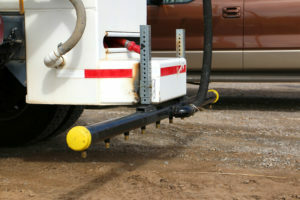 CRC system controls the asphalt pump and monitors truck speed. distance traveled, flow rate and spray bar width. Exact and consistent spread rates within 0.01 gallon (± 1%) per square yard are achieved. 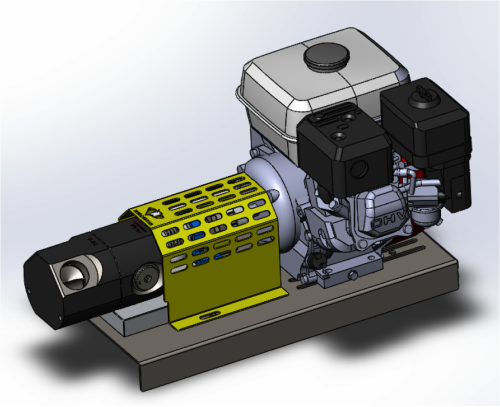 The Bear Cat pump is a 5 hp Honda motor with a 175 gallon per minute gear pumps built specifically for our EarthBind Product viscosity. We have refined our spray bar for many of our customers that find in house dust control makes good sense from an “application when needed” standpoint as well as greater financial savings by using onsite equipment. Learn more.